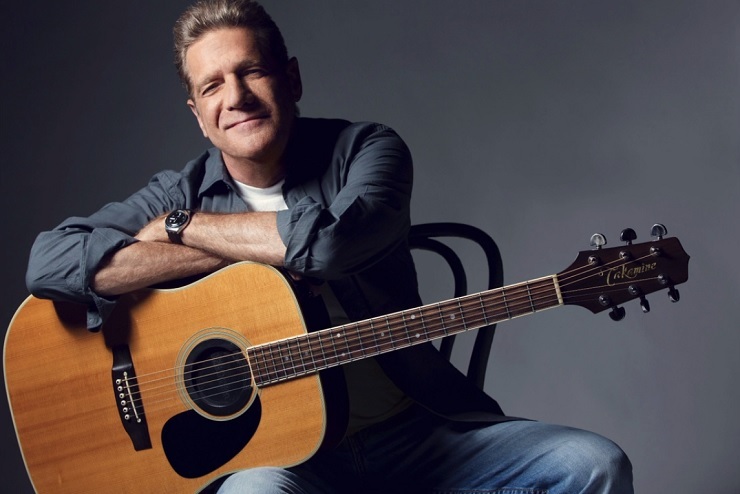 Glenn Frey, singer and guitarist for country rock giants the Eagles, passed away today (January 18) in New York City, the band have confirmed. He was 67 years old. Last fall, Frey had underwent intestinal surgery, but a group statement from the act and family members explains that the artist had "succumbed to complications from Rheumatoid Arthritis, Acute Ulcerative Colitis and Pneumonia." "Words can neither describe our sorrow, nor our love and respect for all that he has given to us, his family, the music community & millions of fans worldwide," they added. The post was closed with the lyrics to the Eagles' "It's Your World Now" from 2007's Long Road Out of Eden LP, which was co-written by Frey and longtime Eagles collaborator Jack Tempchin. Born in Detroit, MI, Frey's early career had him performing in groups including the Subterraneans and the Four of Us. He would also provide backup vocals to Bob Seger's 1968 single "Ramblin', Gamblin' Man" and would write with Seger later on in his career. A move to Los Angeles in the late '60s found Frey playing in a group called Longbranch Pennywhistle before becoming part of Linda Ronstadt's backup band in 1970, along with drummer Don Henley and bassist Randy Meisner. The three backup musicians would link up with Bernie Leadon the next year to form the Eagles. Throughout the '70s, the band released a series of acclaimed and popular LPs that helped define the decade's country-inflected rock sound. Frey sang lead on a number of the band's classics, including "Take It Easy," "Tequila Sunrise," "Lyin' Eyes" and "Heartache Tonight." When the Eagles broke up in 1980, Frey went on to start a successful solo career, with both 1982's No Fun Aloud and 1984's The Allnighter reaching Gold certification in the U.S. He would rejoin his Eagles bandmates for 1994's Hell Freezes Over tour, though that trip was halted in 1994 as Frey was battling with digestive disease Diverticulitis. The band would get back on the road in 1995 and maintained an off-and-on schedule for years. Their last album together was Long Road Out of Eden. They were inducted into the Rock and Roll Hall of Fame in 1998. Frey is survived by his wife Cindy and their children, Otis, Deacon and Taylor.